Every once in a while there will be something that is somewhat reminiscent of the funny old days. The problem is they take something that is worth 30 minutes of ball busting and expand it over 3 days. Who is the guy in the back office who “calls in” playing Memet’s Brain and other characters? It can’t be a real caller because it’s too quick and topical right after the bit in studio. Job number 1 over there is to keep Wiggy thinking he's the KOAM in that Potemkin village of his. And they did the "what Howard didn't get to or turned down" on the old "Friday Show" and it was pretty interesting then. He was never a good interviewer. What he was great at was controlling a conversation with the staff, comedians and callers chiming in making an interview good. Kind of like he was only witty when Jackie was writing for him. Also, back in the day, he was savvy enough to know that if a guest was only good for 10 minutes, he would shut the interview down in 10 minutes. Now, you know, no matter what, that guest will be sitting in that chair for at least an hour. Dreadful stuff. jat87 and Yomama like this. I much prefer the panel shows to Howard’s drawn out interviews. Yep, it's the maniacal guffaws at the lamest things that make it difficult to ingest. Gotta meet his contractual requirement. I’m sure he has a countdown clock on his desk showing how many more days/hours he owes on his contract. Vincenzo69 and June DeMay like this. Vincenzo69 and MarcusAurelius like this. Interesting. That makes all the laughs even more fake. 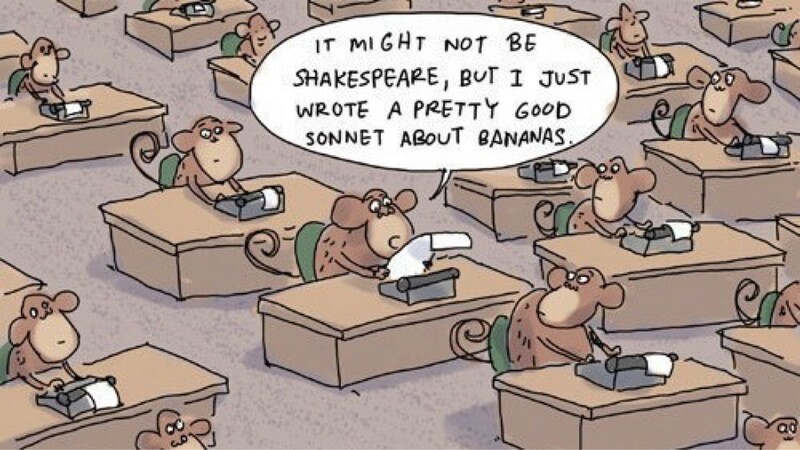 So many writers, so little laughs. So many meetings, so little content. emeraldisle, Vincenzo69 and June DeMay like this.